A few weeks ago, a wonderful writers blog asked for discussion questions. I didn’t realize my question would generate such a lively discussion: How do you feel about series, both as a writer and as a reader? There’s no way I can do justice to the subject of series in a single post, so why not a series of posts about series? I’ll explore the pros and cons of writing and reading series, as well as some of the reasons authors write them (you might just be surprised!). Since I want to hear your thoughts, if you comment on this post you could win your choice of an ebook (format of your choice) from one of my series (Blue Notes, Mermen of Ea, or the new Blood Series). I’ll choose a winner on February 27th at midnight from the entries. I’m a writer and an avid reader (okay, I read less now that I write, but only because there’s a limit to hours in a day!). One of my favorite things to do is dive into a series, regardless of genre. As a kid, Marion Zimmer Bradley’s Darkover books held me captive for years. I still reread those books today, when I need a “comfort” read. Yes, I’ve given up on series, too. My latest DNF? The Southern Vampire (Sookie Stackhouse) books. Which brings me to my first series topic…. Living in a universe. For me, as both a writer and reader, the universe the writer creates is what draws me above all else to series. What is a “universe”? It’s both the setting of the series, as well as the characters who inhabit that setting. Let me backtrack and get some of the publishing jargon out there just so we’re all on the same page. Although you may find variations, there are generally 2 major sequel formats, each offering a certain appeal. Each type of series exploit the series universe (characters and setting) in different ways. A “sequel” series is the most popular of the series formats. Books must be read in order, and either follow a long plot arc, or follow chronologically (The Lord of the Rings trilogy is in this vein). My Mermen of Ea and Blood Series follow this model. A “spinoff” series is generally set in the same universe but is made up of separate, standalone stories. My Blue Notes Series falls into this category. Within the spinoff series, you may find a continuing character having independent adventures (Agatha Christie’s Hercule Poirot detective mysteries come to mind), or you may have secondary characters from one book become main characters in the next (that would be Blue Notes). The appeal of spinoff series is simple. Worldbuilding (creating the universe characters inhabit, whether real or imaginary) is time consuming if done properly. Once a reader or writer gets to know the universe, there’s a certain appeal to staying there for more stories. And what better way to connect with a universe than through the characters who inhabit it. In a sense, the characters become part of the universe. And when familiar characters reappear in books about secondary characters, the reader has an immediate connection to the new characters through them. 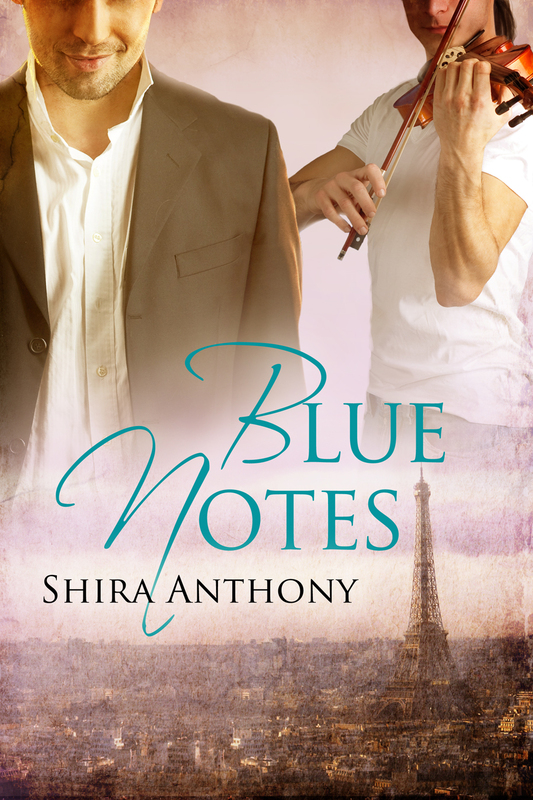 In my Blue Notes Series books about classical musicians, although each novel is a standalone work, certain characters appear in all the books. A common thread. Conductor David Somers is a bit of a fairy godfather (he even jokes around about that from time to time in the books) to some of the other musicians. He’s a familiar character to readers of the series, and he’s become one of my favorites. In a sense, he is part of the setting of the books, and ties them together in a very important way. Sequel series are more of a challenge for some. These series require a reader to buy in to the universe and commit themselves to completing a far longer story. Sometimes these series end with what I often call a “comma,” a happily-for-now (HFN), or a pause. Sometimes they end with a cliffhanger (a subject worthy of a post of its own! ), or a “to be continued” ending. 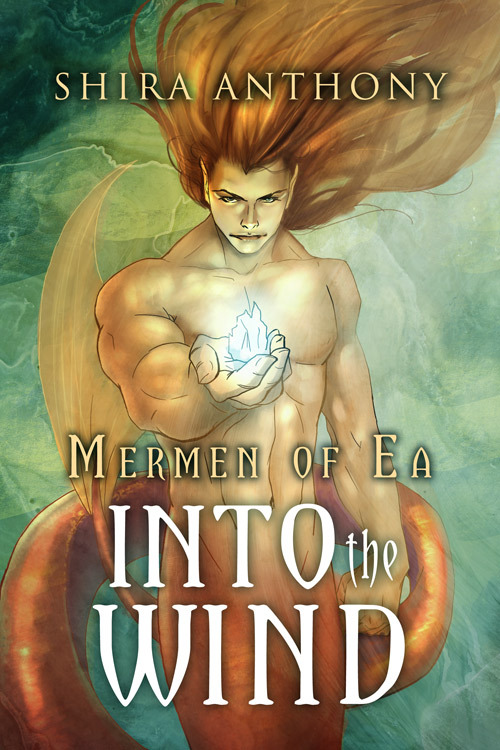 In my Mermen of Ea books, there’s a HFN at the end of the first book, and what some might call a cliffhanger at the end of the second. 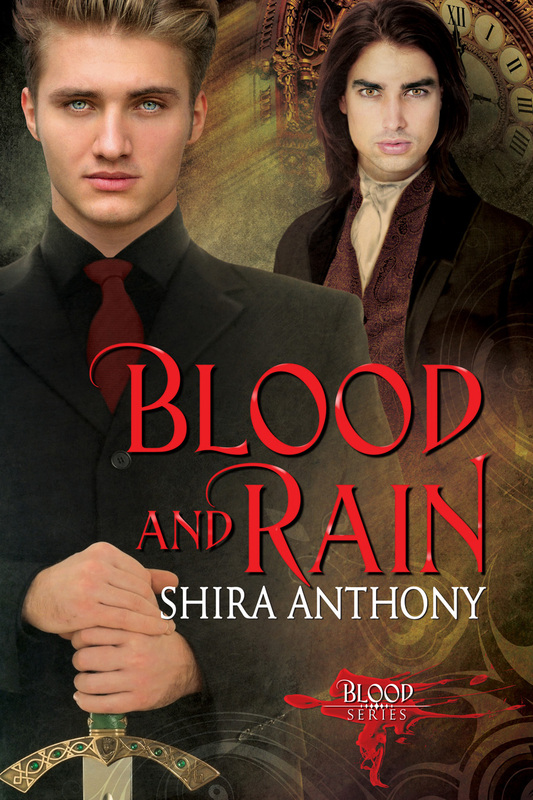 That series, like the Blood Series, is one long story told over 3 books. Although the end of Blood and Rain isn’t what I call a true cliffhanger, it’s definitely a “to-be-continued”. I personally love both kinds of series, and I don’t mind a cliffhanger, as long as the tension is resolved eventually. I prefer 3 book series, and studies show most readers do as well. Draw a story out too long, and you’ll lose me. And yes, there are horror stories of writers dying before they finish series! I love a good cliffhanger, and I’ll wait impatiently for it to be resolved. I know there are readers who won’t start a series until it’s finished. I get that, but I have no self-restraint. If it sounds good, I’m going to read it regardless of whether it’s complete. Interestingly, Marion Zimmer Bradley, in the Darkover series I told you about? She combined both these models. She created a universe in the form of a colonized planet, where humans interbred with the aliens who inhabited the world and developed psi powers (telekenisis, teleportation, telepathy, etc.). She wrote series within series, focusing on one part of Darkover history for 3-6 books, then moved forward or backward in time. Same universe, 300 years later. Same universe 100 years earlier. It’s part of what I loved about that series. That’s the 10,000 foot view of series. Next month I’ll get into the weeds and blog a bit about technique and cliffhangers in particular. I enjoy both sequels and spin-off series, although I probably prefer sequels since the characters/ relationship gets more development. I’ll read an unfinished series since I know it takes time to complete a series. Sometimes, I will read a series and will wait to buy additional books in the series. I like all kinds of series in different genres. Thank you Jbst! It does take time to complete a series – I’m going to blog about that particular issue in the next post about series. I love series, whether in extended novel form, sequels of books or spin-off. I really like to see the characters of previous books mixing with the following. It gives me an impression of wholeness and continuity. But I do not like is a series which drags on forever, adding new actors till you hardy recognize the characters and the universe. That pisses me off and I normally abandon the series. I don’t mind a long series like assassin shifters by Sandrine, but I hate cliffhanger If I have to wait years for the next in the series. I am good reading an unfinished series especially if the author will publish little .point something of the series to keep my interest peaked. and if the writing is good I can forgive a multitude of sins. I adore (ADORE) series. Both sorts, really. I just hate leaving characters and worlds that I’ve become so emotionally involved in behind. That said, I probably prefer the “sequel” type a bit more, only because then I’m guaranteed to come back to characters that I already know instead of learning a new MC or couple. I admit that I’m not one for cliffhangers. If I know a book has one, I wait for the next book or the series to finish first. I don’t mind and regularly read series and spinoffs, but I find that I’ve totally lost my taste for series that never seem to end. I once read a series that was at book 12 ( it’s now past book 21, I think) and hadn’t resolved problems from like book 5 or 6. How long can main characters be at odds with out readers losing interest? I really enjoy series with different couples featured especially if the other couples pop in from time to time too. What series will I read? Well, tricky question because i’ll read just about any series. Mystery, Sci Fi, Fantasy, Romance. Just about anything Romance and GBLTQ, and all the colors of the rainbow. MF too. But it had to have multiple genres just to be interesting. 🙂 plain MF romance is boring. MM Mystery Romance series are better. I do tend toward more than 3 sub genres like fantasy romance mystery MM or FF humorous romance contemporary with a little MF thrown in just to make it interesting. If it’s interesting, i’ll read. Did I mention I read a lot? I enjoy series. Some series I wait for a few books to buy so that I can get into them without waiting. I have a few authors I follow that write 100-125 page books that have up to 30 books in their series. I recently read the second in a book that I didn’t realize had a cliff hanger at the end. It doesn’t bother me. What I don’t like is a series that is very cohesive then the last book is a “HuH” book. You know the one. It’s like the author had a vague idea and threw it out as part of their series. As long as the storyline is cohesive and believable I follow it. Especially for an author who I admire. Since I read a lot of fantasy/sci fi where series are endemic, I enjoy series. It matters not if the series is unfinished, I devour the next book as it comes out. I prefer most of the plot line to be complete in a book in a series and am not fond of cliffhangers.